#Office365Challenge Here’s a blog right under my nose I didn’t think of writing. 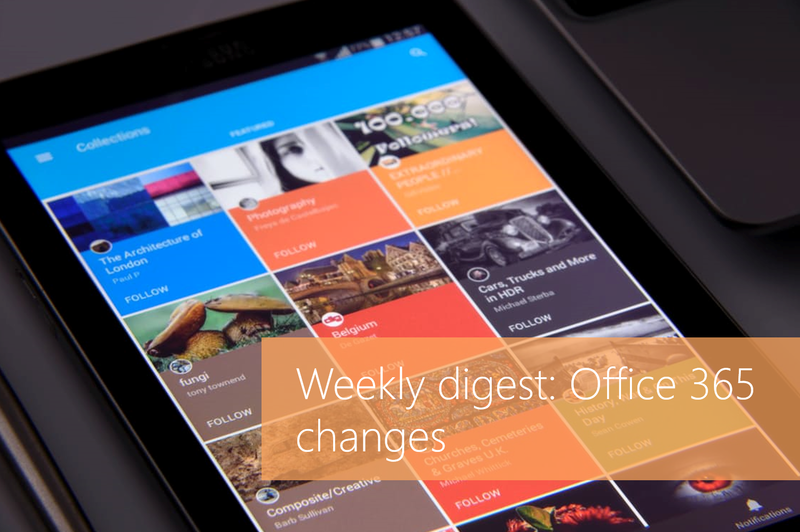 The Weekly digest: Office 365 changes. Thanks @AlistairPugin for reminding me. 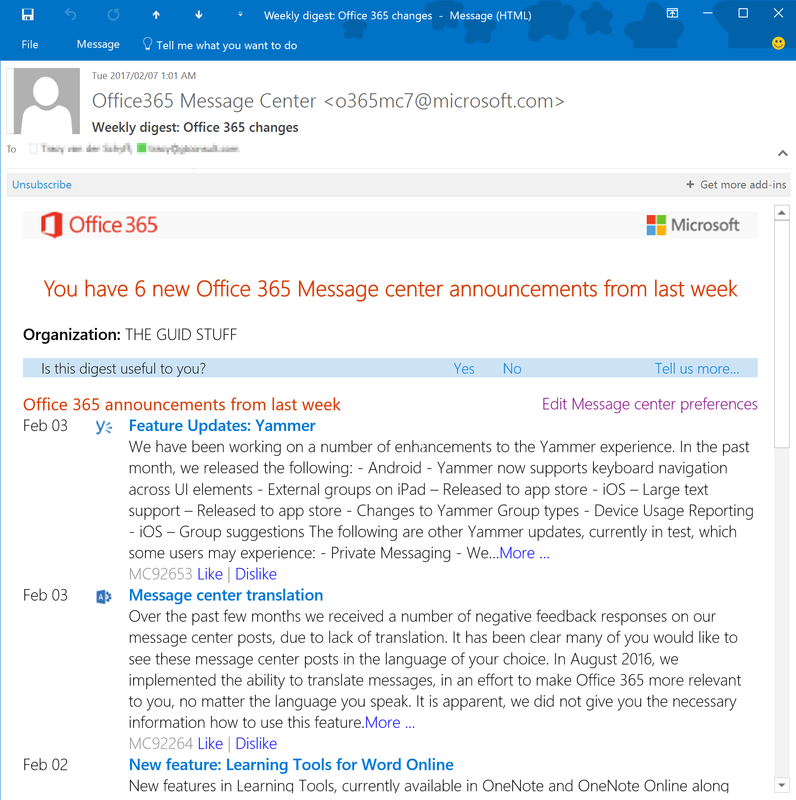 What a great idea, the Admin Centre in Office 365 delivers a Weekly Digest mail with all the recent updates (Office 365 Message center announcements from last week). What does Microsoft say? This admin digest email is personalized for your organization and reflects your individual preferences. To customize what’s included in this email and who gets it, set your Message center preferences. 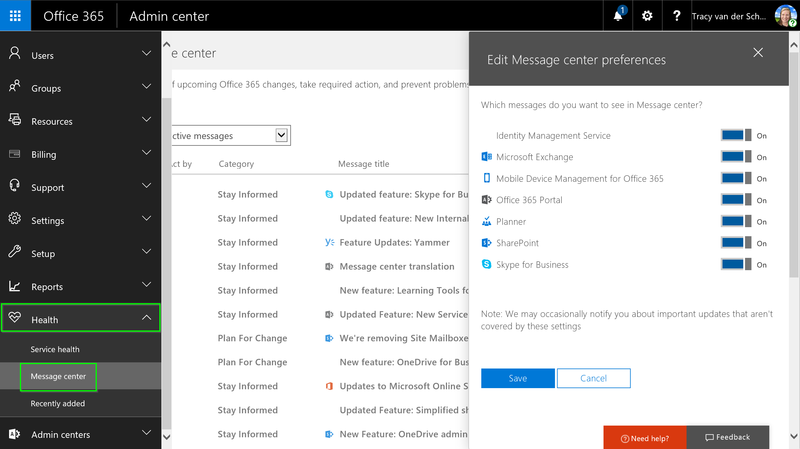 Stay on top of upcoming Office 365 changes, take required action, and prevent problems. The link opened my Admin Centre on Office 365. You can (manually) navigate to this by going to Admin Centre > Health > Message Centre. You’ll see a link top right “Edit Message Center Preferences”. Here you can make the necessary changes and add email addresses. Thanks Office 365 for saving me so much time!